December 1914. Unity Juvenile Cycles. 1888 This company was based in Birmingham and had been founded in 1888. 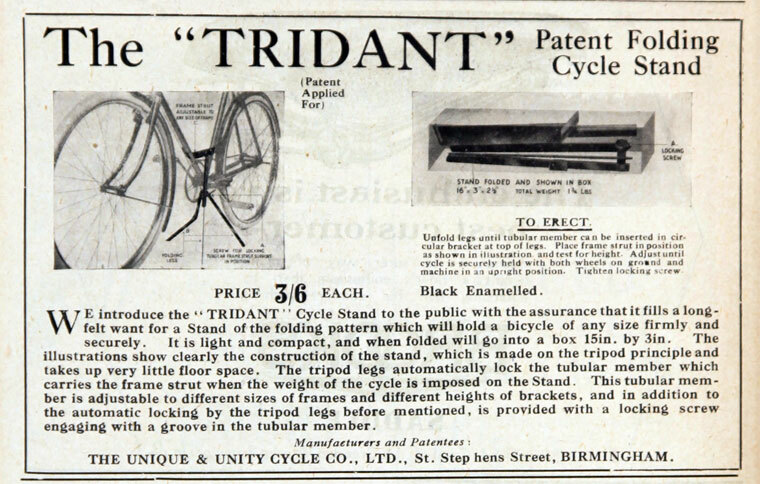 They originally made bicycles for adults but the market for children's tricycles and bicycles grew so much that they later stopped production of full sized bikes. 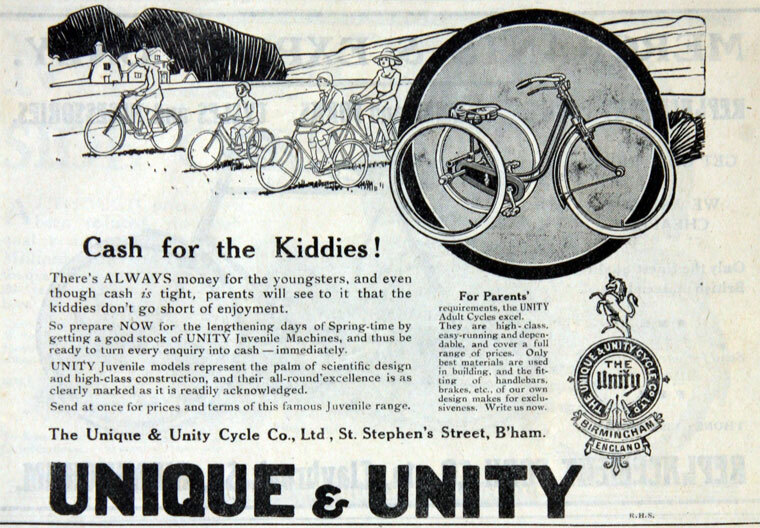 During the period between the First and Second World Wars, Lines Brothers acquired The Unique and Unity Cycle Co. This page was last edited on 7 March 2018, at 10:34.